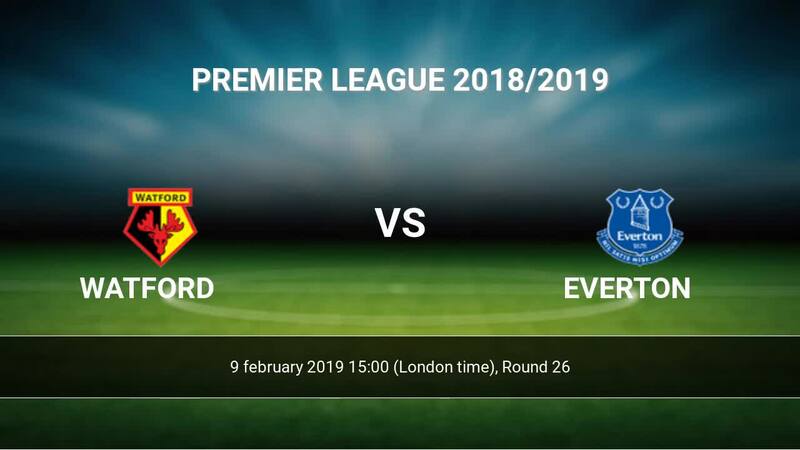 Match Watford-Everton Premier League the fixture is set to kick-off today 15:00 on Vicarage Road Stadium. Refereee Lee Probert. Team Watford is located in the middle of the table. (8 place). Last 5 games (league + cup) finished balance 6 points. From 3 matches can't win a match. 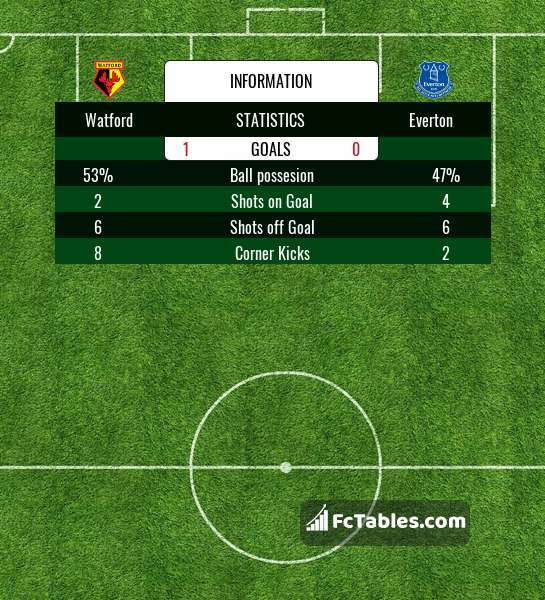 Watford has not been defeated at home from 2 matches. The best players Watford in Premier League, who scored the most goals for the club: Roberto Pereyra 6 goals, Troy Deeney 5 goals, Jose Holebas 3 goals. Most goals developed: Roberto Pereyra 1 assists, Troy Deeney 2 assists, Jose Holebas 6 assists. Injured players Watford: Sebastian Proedl, Success Isaac, Roberto Pereyra. Team Everton is located in the middle of the table. (9 place). In 5 last games (league + cup) Everton get 6 points. 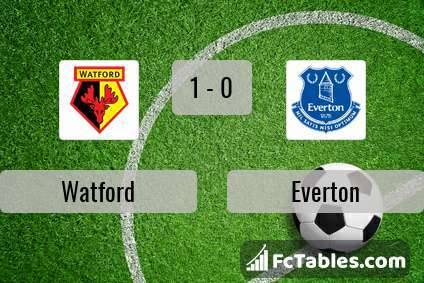 Everton did not win the match from 2 games. The most goals in Premier League for Everton scored: Richarlison 10 goals, Gylfi Sigurdsson 9 goals, Dominic Calvert-Lewin 4 goals. Players with the most assists: Richarlison 1 assists, Gylfi Sigurdsson 3 assists, Dominic Calvert-Lewin 1 assists. In Everton not occur in the match due to injury: Leighton Baines, Phil Jagielka. Direct matches: usually ended with winning of Everton. Balace of both teams games are: 2 won Watford, 7 wins Everton, 3 draws. In 9 matches the sum of the goals both teams was greater than 2.5 (Over 2.5). On the other hand, 10 matches teams scored more than 1.5 goals (Over 1.5). In 9 matches the both teams have shot at least one goal.